With a scope both deep and wide, our training program fosters the growth of both the student and teacher in you through ample exploratory, integrated learning, and practice teaching. In this training, you will learn to artfully create a sequence and teach asana skillfully. Our mission is to prepare you to develop safe and sensible yoga classes for all levels of studentship. You will learn to accurately observe students’ bodies, assist them into optimally aligned asana through the use of words, basic hands-on adjustments, modifications and the use of props. An introduction to functional anatomy and physiology will form the basis for the study of asana and sequencing. We believe a deeper understanding of yoga and how to teach asana comes from a consistent commitment to your personal practice, and your practice will become a well-spring of resources and inspiration for you as a teacher. As such, asana, bio-mechanics and sequencing are at the core of this training. 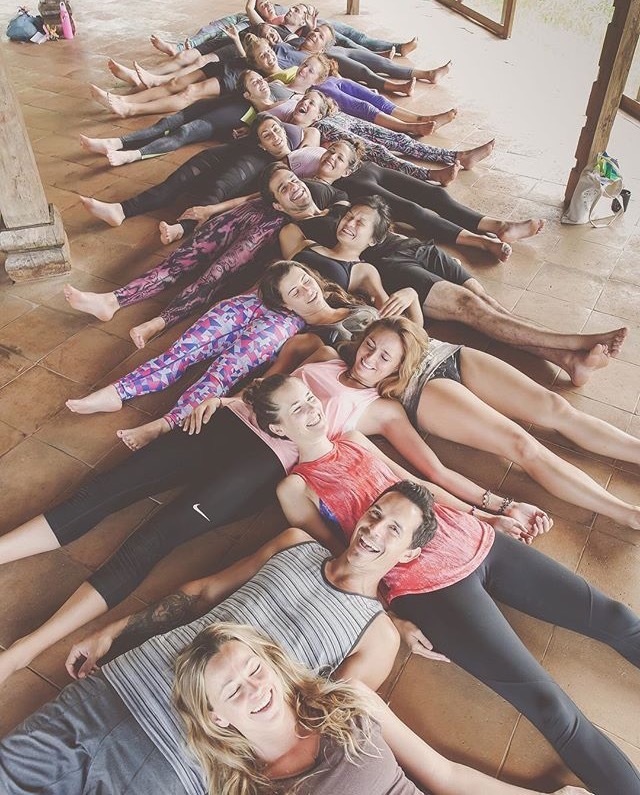 With Asana Labs and Practice Teaching sessions every day, you will deepen your knowledge of the bio-mechanics of yoga and develop communication skills to transmit this knowledge to your own students. In this first module there will be a strong focus on Anatomy and Physiology as it provides the foundation for all the Asana Practice and Asana Labs of foundational beginner poses such as Sun Salutations, standing poses, forward bends and seated poses. Introductory lectures on each of following subjects will also be covered in this module: Philosophy, History, Mythology, Sanskrit, and Elements of Teaching. We will venture deeper into the roots of Yoga, as well as learn about about the anatomy of the subtle body, or “Energy Body”, the “mapping” of energy systems that govern our existence: chakras, koshas, elements, gunas, doshas,…etc. Anatomy and Physiology will be even more detailed and the Asana Practice and Asana Labs will progress into more integrated intermediate poses such as arm balances, twists and backbends. This final module, completes the training with refinements on how to impart this knowledge to others. Teaching Methodology and Practice Teaching are at the core of it. The Asana Practice and Asana Labs will finish off with more expressive advanced poses such as inversions, hip openers as well as deeper variations of poses covered in the previous two modules. The nature of this training schedule requires participants to fully immerse themselves in the study and practice yoga. Participants should be sincerely interested and ready to study earnestly. You need to be in good health and able to move free of pain. As such, we recommend a regular yoga practice of at least one year prior to this training. This training may be taken to deepen your own knowledge, with or without the intention to teach. As an avid story teller, philosopher, traveller and mover, Nico Luce has spent much of his life in pursuit of the extra ordinary. From intrepid travels through India, acting stints and a successful yoga studio ownership, Nico has spent much of his life seeking a way to live a fully and vibrantly, and has learned to embrace this life one breath at a time. Nico is a 500 hour certified yogi and international teacher who has been teaching yoga since 2003. His love for Eastern philosophy, spirituality and anatomy are all weaved skilfully into his teaching. His approach is eclectic, inspired by his studies with top senior teachers across multiple styles including Hatha, Anusara, Vinyasa, Yin and Power Yoga and Pilates. 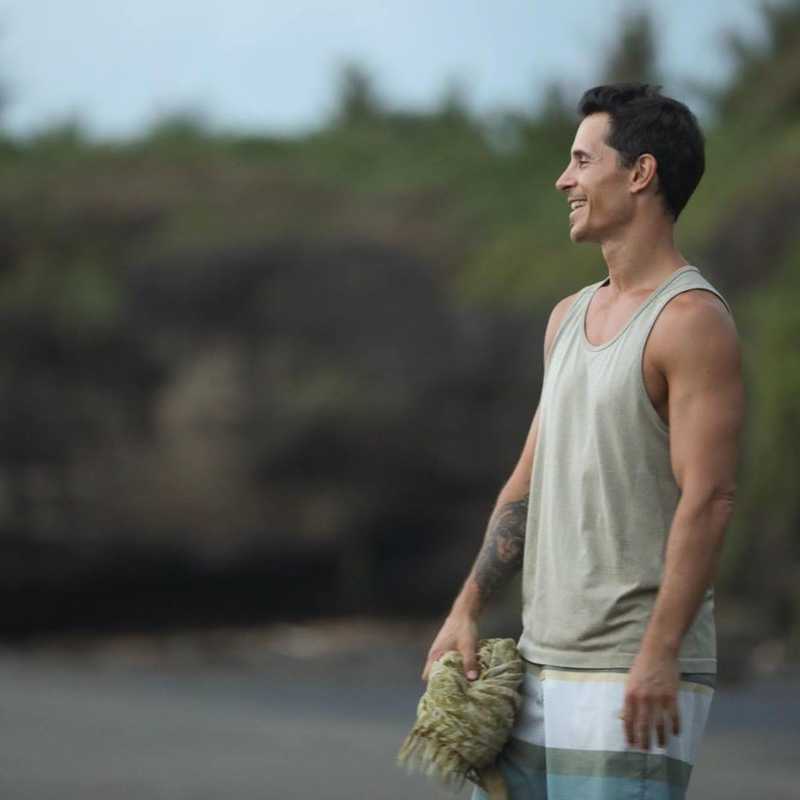 By bringing to life the ancient teachings of yoga, Nico’s goal is to take you on a powerful transformational journey which will have you seeking the answers to your heartfelt questions and challenging the way you view your life. Nico invites you to look inside, to never stop asking the questions, to be brave and remain open, and most importantly to believe in yourself. This training is a 200H intensive. Classes will run from Monday to Sunday. Saturdays will be your day of rest, giving you free time to digest the course content as well as explore your surroundings if you are joining us from abroad. We begin Monday the 2nd of September at 8.30am and end Saturday the 28th at 5.30pm. The doors of the studio will open 20 minutes earlier, at around 8:10 am. The training will take place at our luminous studio, Radiant Yoga Marbella, an inspiring space with views to La Concha, Marbella’s iconic mountain. There is a comfy lounge area where you can help yourself to tea and water, as well as rest and connect with other students. You are welcome to bring food and eat it in the lounge area of the studio or terrace. There is a large supermarket below the studio as well as a café called ‘Fresh Food’ that offers healthy options such as salads, wraps and juices. For those traveling from abroad please contact us so we can advise you on a suitable accommodation option. There are Airbnbs at walking distance from the studio that could be shared between students as well as the possibility of renting rooms and / or be hosted by local students. ** For payment plan options please get in touch with our program coordinator.